XS 14580 Ft** Egyeztetés szükséges! M 14580 Ft** Egyeztetés szükséges! Our floating vest dingy is an ISO/CE-N50 approved vest. The vest is medium buoyancy padded. The panel lay out is ideal for all watersport activities, small and compact. The side zipp gives easy access to the vest. In the pocket you can store a flare. 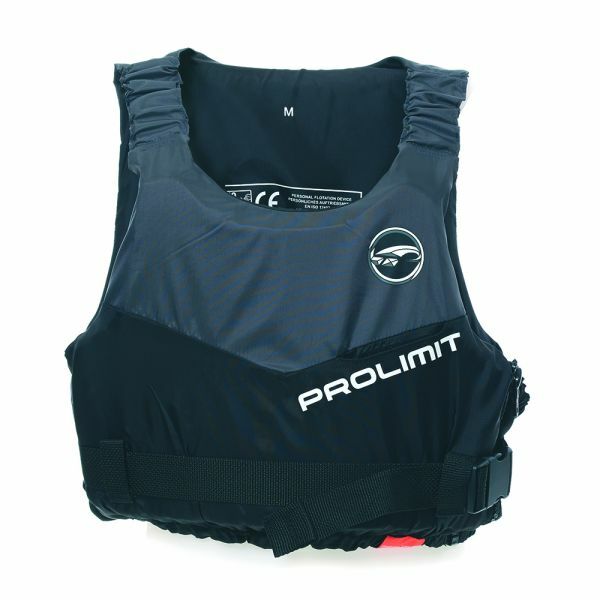 The dingy vest is the ideal for most water sport activities as Windsurfing, Kitesurfing & Sailing. Kapcsolódó linkek "Float Jacket Dingy unisex mentőmellény fekete/kék"
Vásárlói értékelés "Float Jacket Dingy unisex mentőmellény fekete/kék"